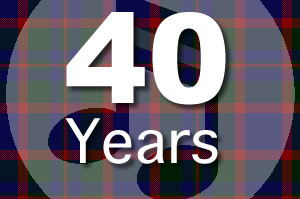 Perthshire choir turns 40 and needs help! Turning 40 is not always easy, but this year’s fortieth anniversary of the Aberfeldy and District Gaelic Choir has sparked an urgent plea from Choir President Lou Oppenheim. “Somehow, between several changes of Secretaries, different venues, and the passing of years, we’ve lost all our memorabilia. The boxes have vanished without trace – and no-one knows who had it last! It’s such a shame, but we’re hoping someone out there, perhaps a former choir member or a choir supporter, may be able to rake through old photos and press cuttings and find something to start off a new scrapbook. I know it’s a long shot, but you never know – people hang on to all sorts of things!” Anyone who can help the Choir with its lost past can contact Lou on 01887 830282.